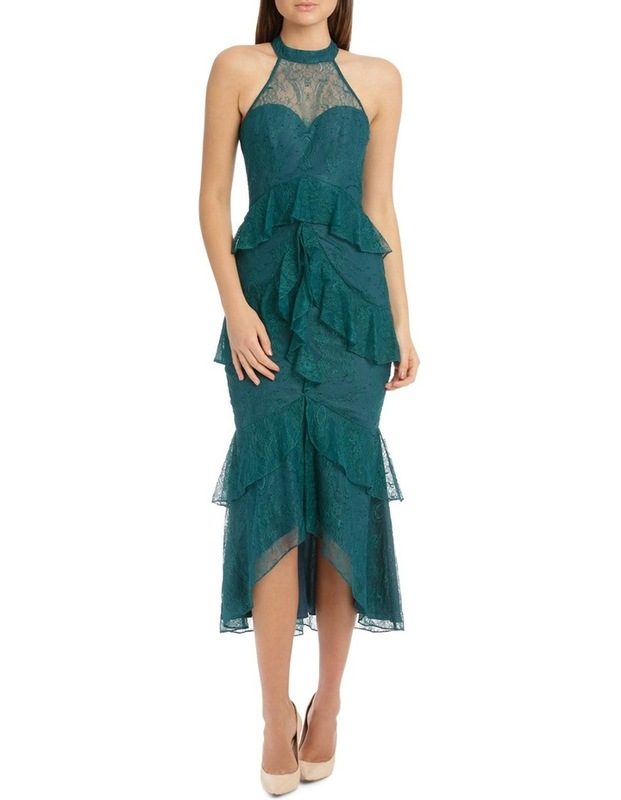 Molly is your girl for a statement look, ideal for spring racers or wedding guest, this little number is a show stopper. 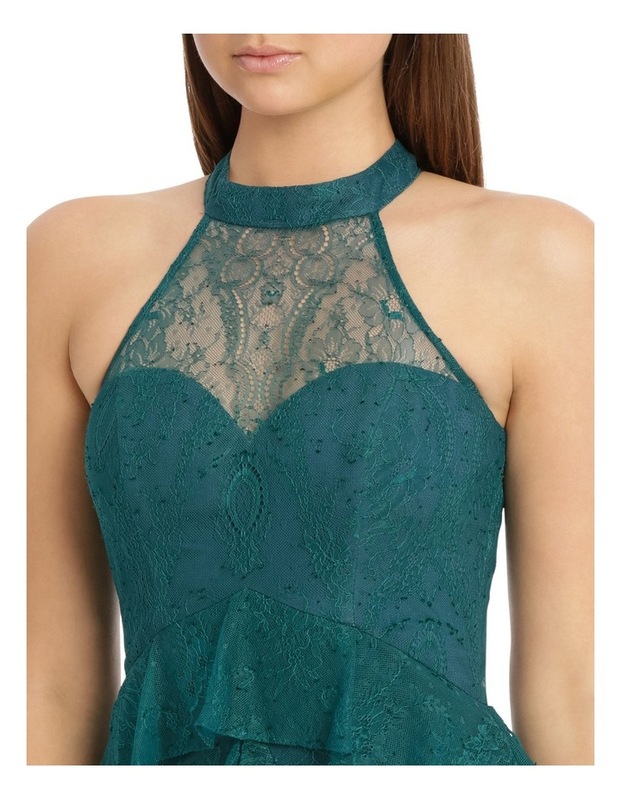 The jewel teal colour and light lace shell is a luxury statement. 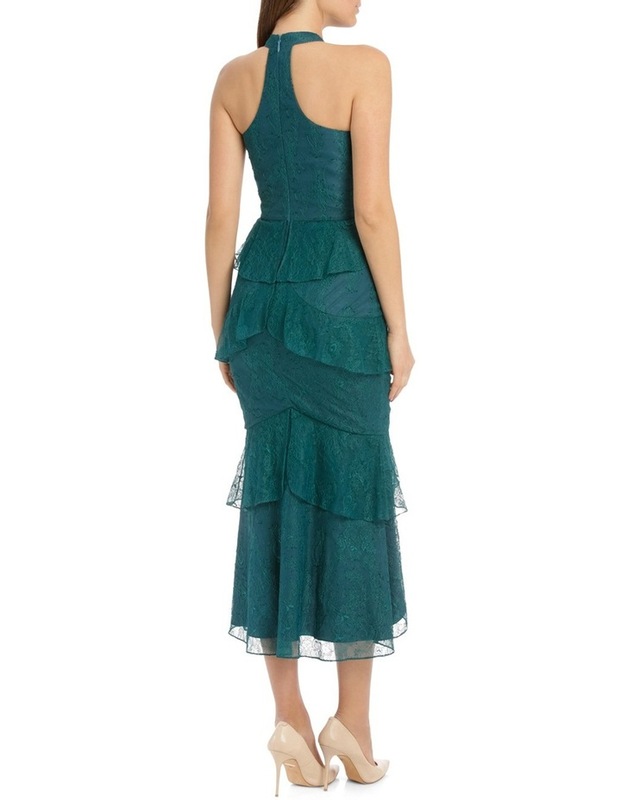 The lining is dense in weight, creating sculpting and shaping for your body. Finished with a little signature ruffle detail.